Let us know. We would be very happy to work with you ! Hanging Hardware is attached to the back of each sign. Light Stain applied. We would be thrilled to create anything you would like. Each sign will differ slightly in appearance from stain to nicks and dents and other knots natural imperfections. LARGE ADULT SIZE QUALITY MADE GLOVE WITH LEATHER PIPING. 12 " in size. Fits on right hand. Left hand thrower. FOR LEFT HAND. TOP GRAIN COWHIDE, WRIST ADJUSTABLE STRAP, NYLON STITCHED, CUSTOM DESIGN, TARGET TRAP, PRO STYLE POCKET, HINGED PAD. Ted Williams Baseball Glove . Shipped with USPS Priority Mail. 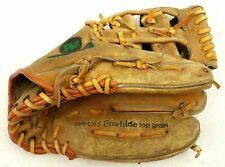 Up for sale we have a Vtg 1940s 50s Ted Williams Wilson A2210 Baseball Glove Split Finger Mitt. Length – Collar seam to bottom back. Most are like new! Shoulder – Sleeve seam to sleeve seam. 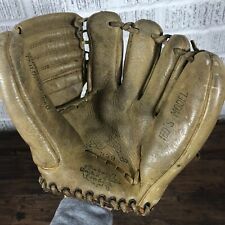 Unique circa late 1940's OK (Ohio Kentucky) Ted Williams 3 finger split finger style baseball glove. Ted Williams played with the Boston Red Sox from 1939-60. A large high quality glove in terrific condition. WILSON TED WILLIAMS G1338 LEATHER BASEBALL GLOVE RARE TO FIND IN THIS CONDITION. LEATHER LOOKS WONDERFUL. Nice old glove. See photo. Overall a very nice old baseball glove. See pictures. The leather is in very nice condition, still soft. This glove needs to be relaced for use. Checkout all the photos. The glove looks to be from the 60's and features TED WILLIAMS SEARS SPORTING GOODS. LEFT HANDED THROWER GLOVE, SWEET. NEVER USED ! I've given you a few photos to check this glove out! SUPER RARE! Rare left hand throw vintage Ted Williams baseball glove. Also included is a Dukes model Pro Sports glove. Ted Williams, Baseball Glove. Made in the USA. Model Number A3261. Condition/Grade: VG-, stiff leather. Multiple art pages can easily be combined because they are light and thin. For instance, two statues require a much bigger box. This is normal in our experience. Ted Williams Fieldmaster Ball Hawk #A2114. See pics for more detail. Ted Williams Brand Sear Roebucks Co.vintage Baseball Glove Nice! Glove is in very good useable condition. Ted Williams Baseball Glove - Right Handed Thrower. Sturdy glove shows moderate wear,light scratches abrasions and leather color fading(photo # 7)-see photos. This is for Left Hand Throwing Person/People. 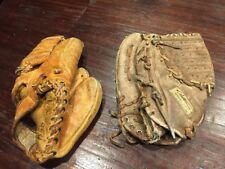 Vintage Ted Williams Brand Sears Roebuck Lefty Baseball Glove 1679 Rare Style. 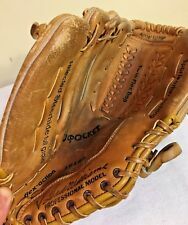 Vintage Ted Williams Brand Sears Roebuck Lefty Baseball Glove 1679 Rare Style.. Very Unique 1950's Model in nice shape with great stich work. No rips or tears ..Supple leather and best of all its a Lefty. In those cases, you will either receive the item in the picture or one almost identical to it. Bob R., Collector, Houston. quality service.". There are precious few Dealers. Has Pro Style pocket, selected Cowhide top grain, flex-action.